Late season rains in some areas may have caused regrowth (from the bottom of some plants) or even late season flowering in fields that are otherwise close to harvest. Green material and green seeds can both cause significant volatility in storage, the latter potentially impacting grade. 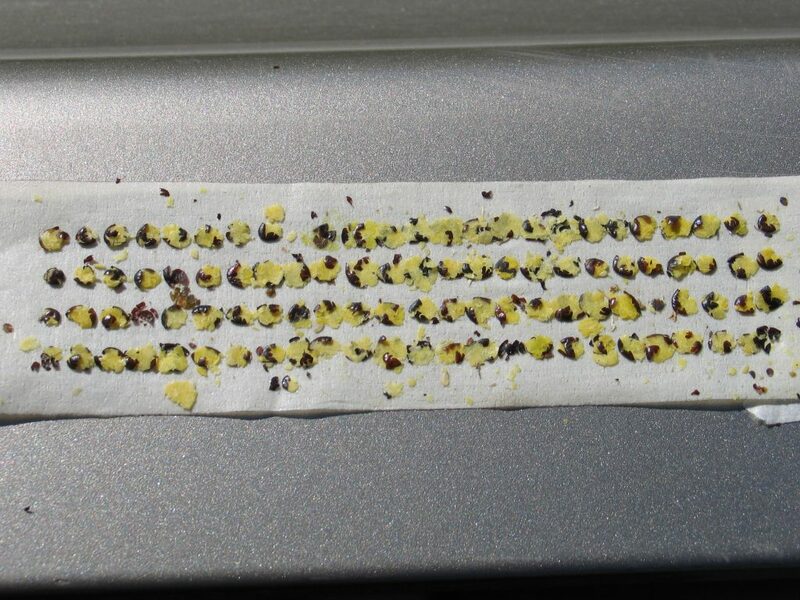 With significant patches of weeds like lamb’s quarters, kochia and redroot pigweed reported in several fields this year, managing green seed in canola isn’t the only issue to be aware of. Fortunately, most of this green material should blow out the back of the combine, but sometimes the flowers and green material can go easier than the seed. Watch sample quality in the grain tank closely and adjust settings as necessarily, or at least be aware of what is being put into the bin for proper manage. Use this CCC combine optimization tool for support with setting adjustments. Other management options for regrowth are to spray it with a desiccant or pre-harvest aid, or to cut it as high as possible. Although cutting high will not address the weed escapes that have moved above the crop canopy, a desiccant or pre-harvest aid will help with dry down. In any case, proper conditioning (putting canola on aeration as soon as it comes off the field) should be followed once the grain is put in the bin and it should be monitored very closely until it is brought down to 8% moisture. It should continue to be monitored regularly even after the moisture content has dropped.